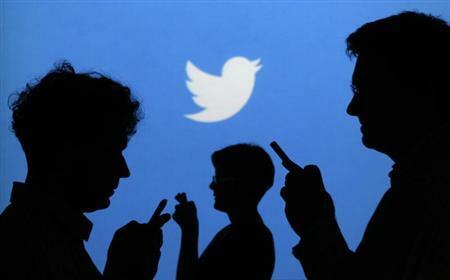 When it comes to retweets on Twitter, it’s not what you don’t know, but who you don’t know. That is the wisdom of a new study of interactions on Twitter, which found that users are more likely to retweet people who don’t follow them than people who do. The report, which comes out of Arizona State University’s W.P. Carey School of Business, followed 140 days worth of tweets in late 2010, using a complex system of 20 computers to track the social network. At the end of the 140 days, the team of researchers — Zhan Shi of ASU, Huaxia Rui of the University of Rochester and Andrew Whinston of the University of Texas at Austin — concluded that you’re about 50 percent more likely to be retweeted by a random than a mutual admirer. The researchers inspected tweets that were singled out by the now-defunct @toptweets account, an official Twitter handle that spotlighted noteworthy or popular tweets. The researchers then identified tweets sent out by users with fewer than 1,500 followers, due to limits on the data the researchers would be able to collect from Twitter. From there, a program fetched retweet data: Who was retweeting the tweet, and via whom. At the end of 140 days, the team analyzed the connections and concluded that, “those who don’t know you well are more likely to retweet.” Specifically, a tweet of median quality (as defined by the study) will be retweeted 6.0 percent of the time by someone you also follow; if you do not follow that person, the likelihood goes up to 9.1 percent. The study will be published in the MIS Quarterly in March; those interested can buy it in full online. And if you want to rack up the retweets — well, maybe it’s time for a good old-fashioned unfollow spree.